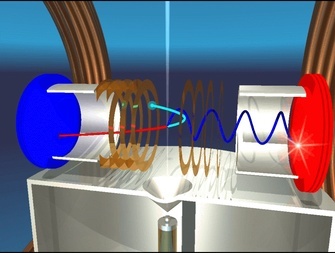 The Cold Target Recoil Ion Momentum Spectrometer was developed for the spectroscopy of atomic and molecular reactions. Several atomic physics groups contributed to the technique and nowadays so-called Reaction Microscopes provide the most detailed insight into the correlated dynamics of objects on atomic scale, like atoms, molecules and clusters. The technique involves a supersonic gas jet target, a well defined electrostatic field and position&time-sensitive particle detectors e.g. RoentDek DLD or HEX. RoentDek offers several modularly designed spectrometers for different detector sizes. 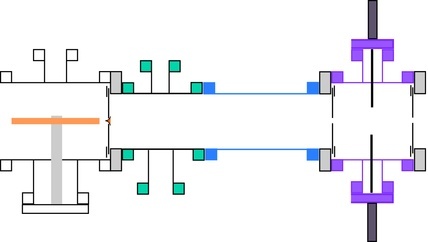 Any spectrometer can be easily modified in length or electrostatic field geometry to adjust for varying experimental needs. The picture to the left shows a flange-mounted spectrometer for detectors with an active area of about 80 mm in diameter (here in combination with HEX75 and DLD80). 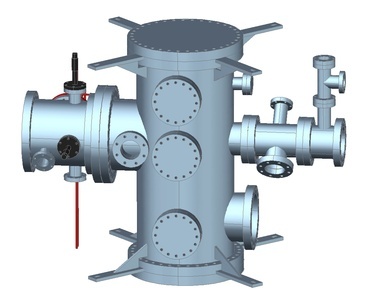 Most RoentDek target chambers allow for a fixed-to-the-chamber mounting option in addition. The target density of a gas jet can be matched to different experimental needs. The maximum target density (e.g. 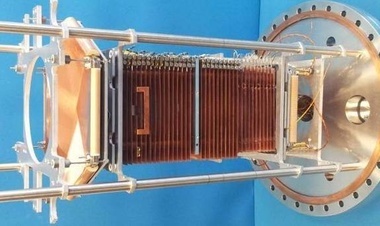 for experiments with UV light or synchrotron) will be reached with a specialized CF300 target chamber ('302') in combination with the Jet Source Type 2 (JS2). Such a 2-stage Dense Jet set up requires also a 2-stage Jet Dump to keep good vacuum conditions inside the target chamber during Jet operation (picture to the right). 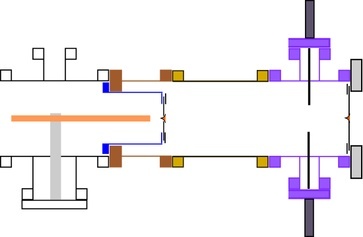 Only a Thin Jet set up build with JS2 (Jet Source Type 2) can easily be turned into a Dense Jet configuration by combining JS2 with an appropriate target chamber. RoentDek builds custom-designed COLTRIMS systems ranging from complete setups to individual and modular spectrometer solutions. New aspects can be implemented with the help of our Research and Development team and in close collaboration with the customer. COLTRIMS is well known worldwide and established in atomic physics and it was already applied in other fields such as solid state physics and surface science. RoentDek products include numerous sophisticated electronic modules such as different data acquisition systems (TDCs and fast ADCs), front-end modules, power supplies and HF-signal decoupling units. In addition to the general modular concept most product lines also offer devices of differing performance. RoentDek offers standard product assemblies as building blocks of a custom COLTRIMS system. These products may be completed with any (pairing of) DLD or HEX detector and recommended read-out electronics. It is to note that COLTRIMS is most powerful when two HEX-type detectors with active diameter of 75mm or more are used. You may also download the content of this page as a PDF file.